We're not saying he's going to hit four (or even five!) home runs tonight, but if someone is going to this is how they'd start. 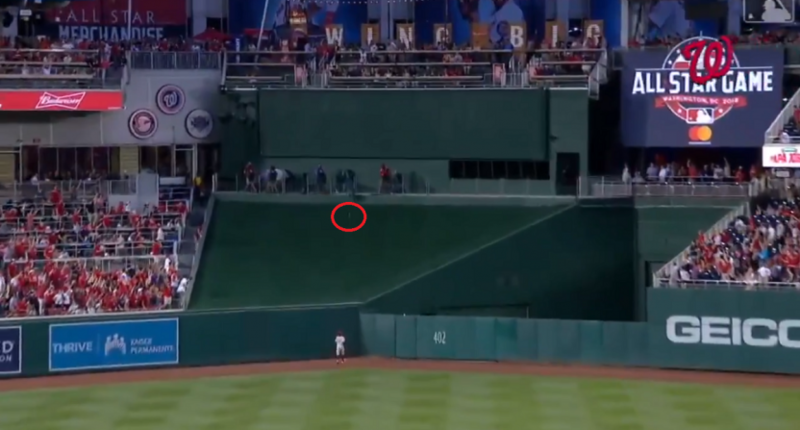 Bryce Harper just obliterated a baseball. Nowhere NEAR! That’s despite Harper tearing the cover off of the ball to start his contract year, including a broken bat home run. If he wasn’t a superstar before (he was and is, obviously, but I thought of this line and I want to use it), this moved him about 473 feet closer.